Hello All! So I've been travelling a lot with the family lately (which is why you've only been getting two posts a week!). I had a lovely last few weeks at Disney - I went to the Pirate's League with my little brother and we stayed at Art of Animation, INCREDIBLE, I can't wait to post about it! - but now I'm back at home with lots more pixie dust to share on the blog! But first -- it's Wednesday, right? That means we need some new Disney trivia! 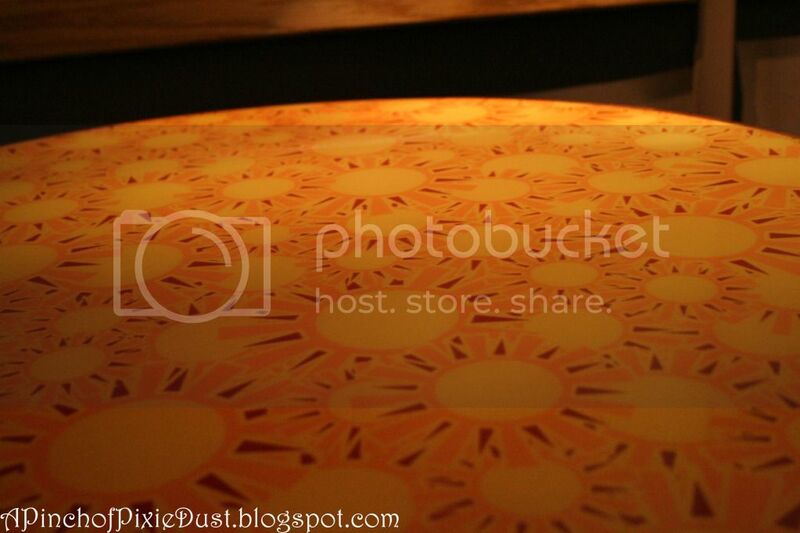 Somewhere in the World are some very bright tabletops -- have you ever enjoyed your lunch on one of them?? And good job to Lisa and Shawna guessing last week's pic! These palm trees are right by the Swan Resort, just over the bridge from the Boardwalk. 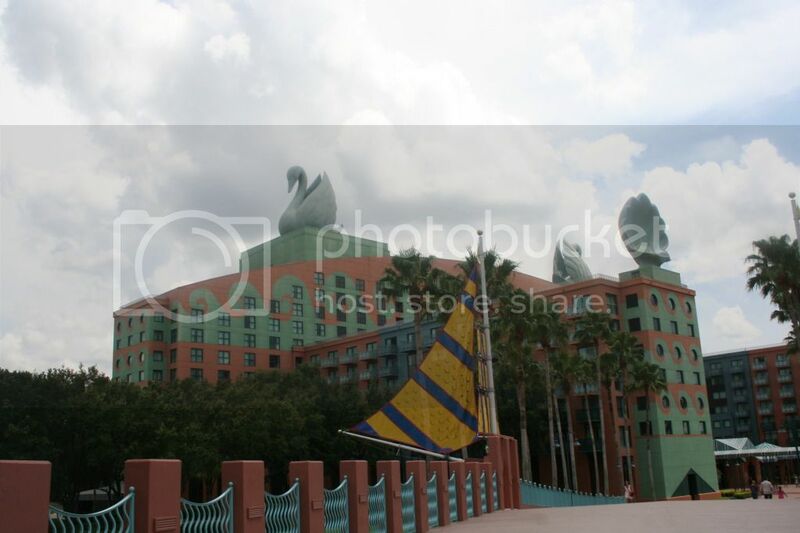 The photo was actually taken from the walkway to Hollywood Studios on the opposite (Boardwalk) side of the water! 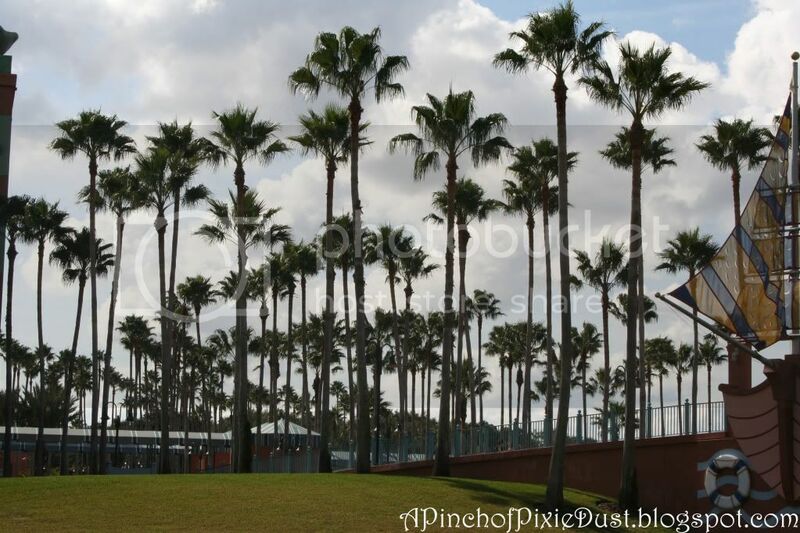 Here's a view of the same palm trees from another angles! Totally Random Tidbit: If you're looking for even more Disney trivia, hop on over to the Disney Parks Blog and the Disney Food Blog to see if you can place their "Where in the World" photos! That table is at Sunshine Seasons! My guy and I always sit in the winter section though with the snowflake tables. We like that it's quieter there. Sunshine Seasons! I love it! yay for me and Lisa! ha!! I am not sure,,.is it in Sunshine Seasons? If not, it kinda looks African and I am clueless!